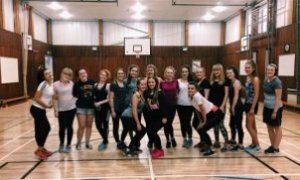 The Derbyshire Sport Trust secured £3666 of funds left from the Sport England Small Grants scheme for the This Girl Can Coach programme for getting females into coaching. There are far fewer female coaches than male. Only 31% of coaches are female, while only 18% of all qualified coaches are female. 'This Girl Can Coach' is about providing targeted coach education support for 6 women. This support will provide the women with all the help they need to get them regularly delivering new or additional sporting activities (at least 30 hours of activity per coach will be a condition of being involved in the project). 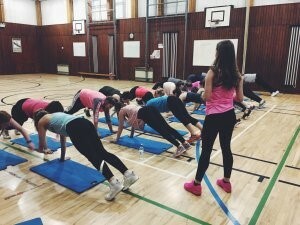 Are you wanting to inspire and motivate inactive people? Are you ready to help others achieve their potential? Then why aren't you applying to the This Girl Can Coach Programme? We want more female coaches in Derbyshire! 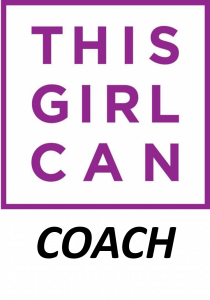 By the This Girl Can Programme we are wanting to help support females to become coaches in their local area and to help others get active! For those who are thinking about volunteering or coaching, I would say 'get inspired, get involved and then be you own inspiration to stay involved'. I cannot recommend getting into coaching enough, especially when at school. Not only does it help you to stand out with university applications, but it also gives you a positive, alternate motivation and focus while learning vital lifelong skills that can be transferred in any career you are wanting to go into, not just sport." "Coaching is something that gives back in more ways than you can imagine. I coach because I can. I coach because I want to inspire people to be active. "When you see that look of enjoyment on a child's face, or you see the 'click' in their head as they understand it, makes all the time you spend planning worthwhile." I would say to people, be the change – find something your passionate about and run with it." "This Girl Can Coach' has been so beneficial to both my personal and coaching development. I have done beyond so much more than I thought I was capable of doing. Not only has it given me access to qualifications recognised in the ever growing fitness industry, but more importantly it has improved my confidence."